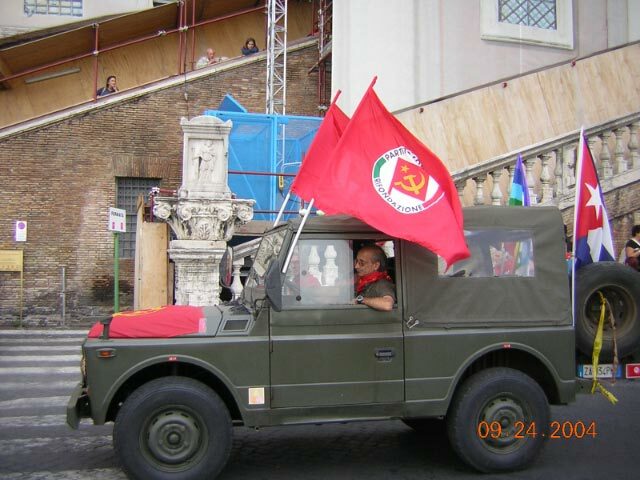 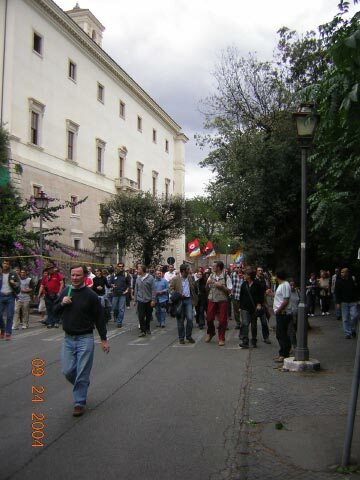 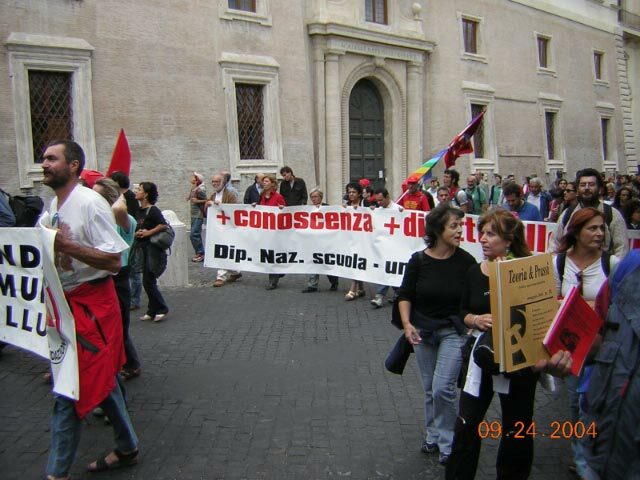 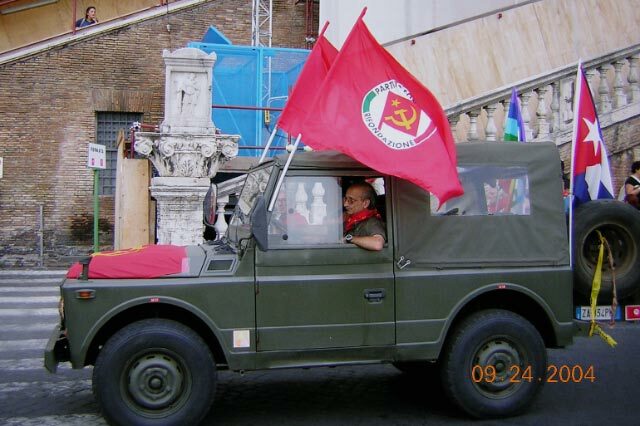 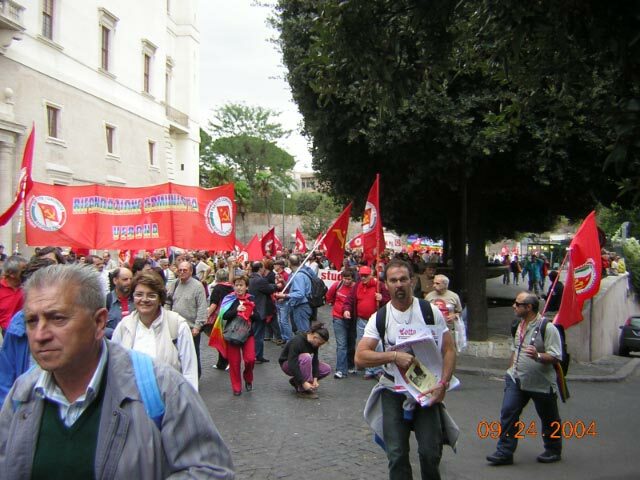 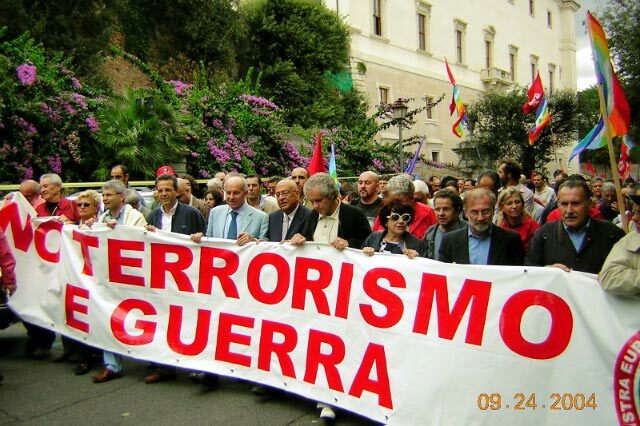 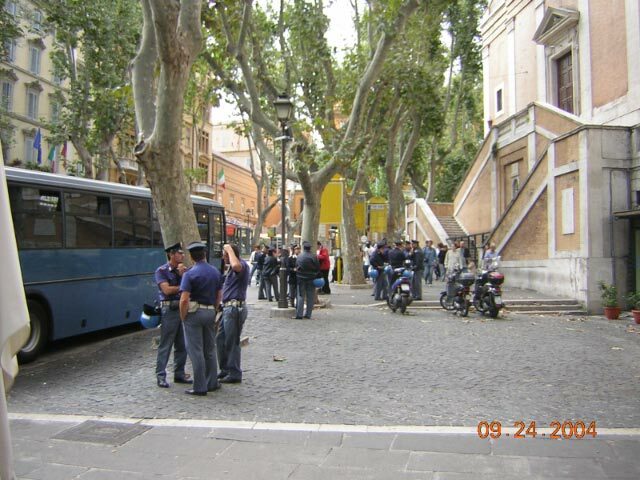 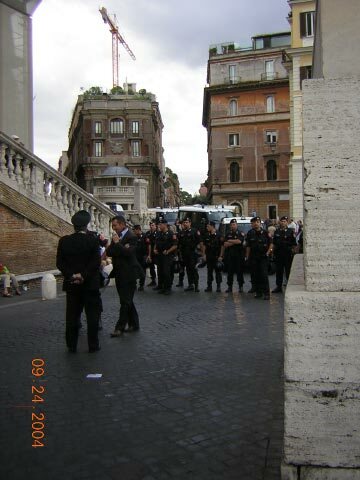 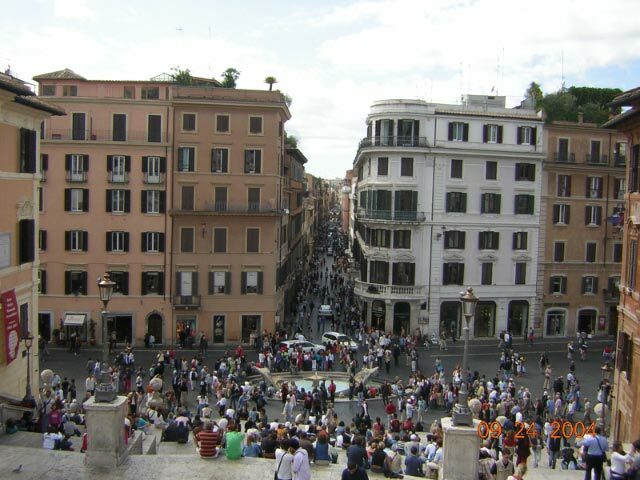 These are pictures I took of a protest demonstration that took place in Rome on September 24, 2004, while I was there. 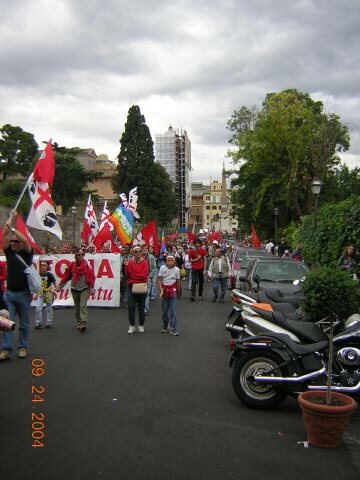 The marchers were protesting the abduction of Simona Torretta and Simona Pari, the two Italian aid workers who were seized by armed men on September 7 in Iraq. 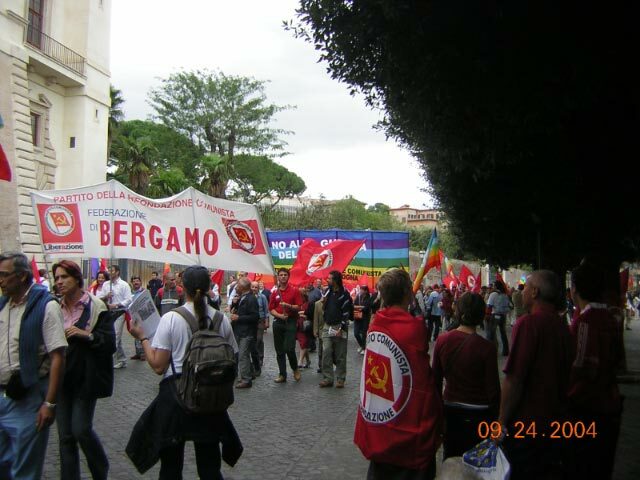 The aid workers were let go on September 29. 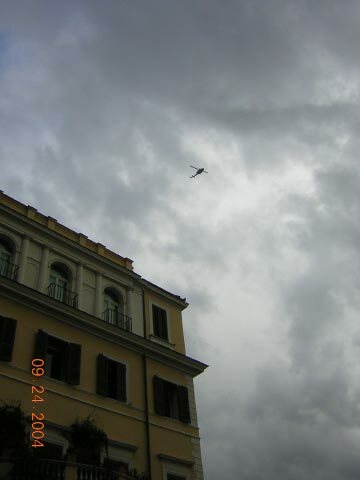 The story of their release can be read here.